Some generators can cost a lot of money, particularly standby generators. Yet, portable generators tend to be less expensive and more manageable. They are easy to take around where and when you need it most. 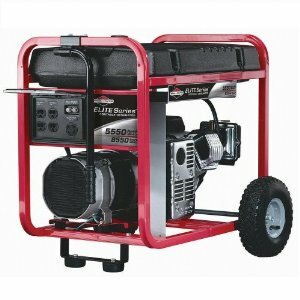 There are a number of portable generators that sell for under $1,000 and are well worth the cost. These generators may be a little larger than some other less expensive portable generators and may be a little heavier to maneuver it around, however, they are able to generate more power than other smaller ones. Here are a few of the best portable generators under $1,000 on the market. 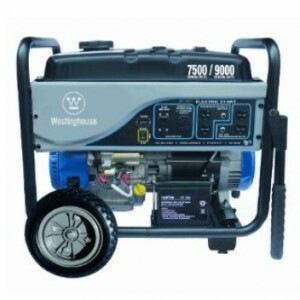 If you want generator that will come on automatically when the power goes out at home, check out our standby generators reviews here. 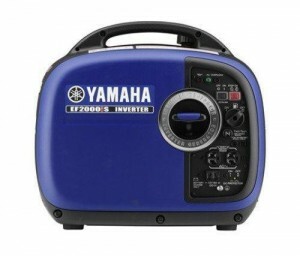 This ergonomic designed Yamaha EF 2000is Gas Powered Portable Inverter Generator has a noise reduction with its absorbing glass wool construction. It has a low oil warning system that helps protect the life of the engine and an inverter system that works well with delicate machinery. It weighs about 44 pounds and can run up to 12 hours at half load without having to refuel. It comes with a two year warranty and a 4 stroke OHV 79cc engine. It runs on 2,000 watts maximum output and 1,500 watts continuous. It earned 4.5 stars from 175 Amazon reviewers and costs about $990, making this one of the best portable generators under $1000. 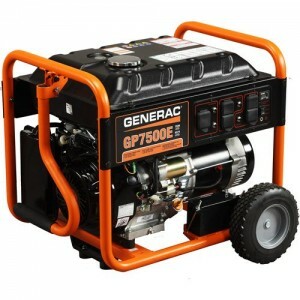 This Generac 5943 GP 7500E Portable Generator has an electric start to make starting and stopping a lot easier with either a push of a button or the use of a remote control. It costs about $1000 online and it received 4 stars from more than 50 Amazon reviewers, making this one of the best portable generators under $1000. It weighs nearly 200 pounds and has a steel fuel tank for added durability. It has a fold down handle to easily store it away in a compact area. It runs on 7,500 watts rated and 9,375 watts maximum output. It has an hour meter to check voltage and a wheel kit for easy portability. This Briggs and Stratton 30470 Gas Powered Portable Generator has a wheel kit to improve mobility with two wheels that never go flat. The unit weighs about 158 pounds and runs on 7,000 watts continuous and 8,750 watts surge. It can run up to eight hours on 50 percent load and has a seven gallon tank. It comes with four 120 volt AC outlets and one 120 volt locking outlet with 30 amps. It is non carb compliant and is not sold in the state of California. Its fuel gauge is easy to read as it is displayed on the front panel. There are easy to use buttons to operate the machine as well. It received 4 stars from Amazon reviewers and costs about $900 online. These are all among some of the best portable generators under $1000 online and in your local hardware store. They all will be able to power up your home in case of a power outage as well as at outdoor events.